Does the fact that we live in the southern hemisphere affect the Feng Shui Ba Gua arrangement? This subject has been brought up and debated from time to time by many of our readers who live in Australia, New Zealand, South Africa, Argentina or any other southern hemisphere countries. We thank them for bringing this up and we thought we might share our views with you. Their concern is that the South palace is placed at the top of the Ba Gua which represents the element of Fire and to which is attributed Yang energy. Their point of view is that the orientation of the Ba Gua with South at top is due to the fact that China (where the Ba Gua originated from) is in the northern hemisphere and therefore faces the sun in the south. As such, shouldn’t one flip the Ba Gua with North at the top of the Ba Gua (along with all the Yang attributes) if one lives in the southern hemisphere where they face the sun in the North? Some interesting and little known facts on northern & southern hemispheres. The Equator, an imaginary horizontal line at 0º degrees latitude at the centre of the earth, divides the earth into the Northern and Southern Hemispheres. Therefore all countries north of the Equator are in the Northern Hemisphere, while all countries south of the Equator are in the Southern Hemisphere. Can anyone spot one huge dilemma for certain countries? What about countries such as Kenya, Indonesia, Brazil, Uganda, Congo, Ecuador, Maldives and others that fall on the equator and technically are considered to be in both northern and southern hemispheres? 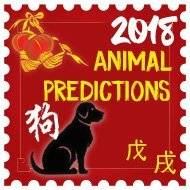 Does this mean that they flip, toss or spin the Ba Gua to practise Feng Shui? The earth rotates once every 24 hours (about 15 degrees every hour). This daily 360 degree rotation is the reason that the sun approximately rises in the east and sets in the west, and why we have day and night. So the sun always rises in the east and sets in the west? Seasonal variations in where the sun rises and sets and changes in the length of daylight hours throughout the year are caused by the constant tilt and orientation of the Earth’s axis in relation to the plane of its orbit around the sun and this can cause the sun to rise and set up to 23.5 degrees either side of east depending on where you are in the world. In the UK in June, the northern hemisphere tilts towards the sun and it rises in the northeast, passes at its highest across the sky, and sets in the northwest. In December, the northern hemisphere tilts away from the sun. The sun rise in the southeast, passes at its lowest across the sky, and sets in the southwest. In places north of the Arctic Circle, the sun may never rise at all. In places north of the Arctic Circle, the Sun may never set at all. For the majority of the year and for most countries the sun does rise in the east and set in the west though. So if someone says to you that the sun always rises in the east and sets in the west you can now tell them Michael Hanna says different, actually the reason I wanted to make a point of this is because I have heard of Feng Shui Practitioners using sun rise and set to take compass readings (basing on fact that sun rises east and sets west) and we even have an interesting page on our site of how a Practitioner used an A-Z map of London to take a compass reading. On that note and I now proving I am a boring boffin I will pass you onto Sallie with the much more stimulating topic of authentic Feng Shui. For more information on finding your facing direction and taking an accurate compass reading click here. I should start by emphasising that the Feng Shui evaluation of a site is based on the compass bearing of the magnetic north of the earth. North will always be north irrespective of where we stand on the globe and whether we live in the northern or southern hemisphere or right on the equator. For example, if the compass bearing of the facing of your building is 195º, this shows that your building faces south and sits in the north regardless of whether this building is located in the northern or southern hemisphere. Let’s see how Eight Mansions and Xuan Kong Feng Shui is applied to this same building. When we apply Eight Mansions Feng Shui, the trigram of the building is Kan and how the eight surrounding palaces are distributed on the floor plan will be according to the eight magnetic cardinal directions of the compass. The four favourable and unfavourable palaces of the property are distributed as follows. The four favourable stars are Sheng Chi which occupies the southeast palace, Tien Yi the east palace, Yan Nien the south palace and Fu Wei the north palace with the unfavourable stars Ho Hai in the west palace, Wu Kwei in the northeast palace, Lui Sha in the northwest and Chueh Ming in the southwest palace. 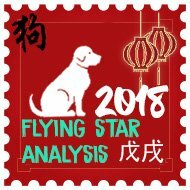 When we apply Xuan Kong flying stars Feng Shui, the energies that are distributed in a geomantic (natal) chart of the same building are based on the magnetic compass of 195º S3 (c Ding) facing of the site which bearing determines whether the distribution follows a yin or yang path. 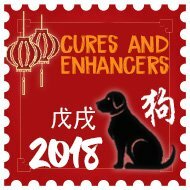 If we reverse the chart to a N3 ( o Xin) facing as suggested, we would end up with a very different geomantic chart and the effects of the cures and enhancers that we then apply may have dire effects on the occupants of the building. I believe the issue here is the understanding of the purpose of the Ba Gua. The Ba Gua is an important tool in the study of authentic Feng Shui. It is a map of information and reference. The 8 palaces on the Ba Gua correspond to the 8 magnetic directions of the earth. We have to re-orientate the Ba Gua according to the magnetic direction we face when we refer to the Ba Gua for information. The south palace is placed at the top of the Ba Gua and the reason is no more than north being placed at the top of compass in the occidental style. Supposing we draw a square with north at the top, do you flip this same drawing because you are in the southern hemisphere? No, because your compass shows you where magnetic north is and the direction you face is related to it. It is the same with the Ba Gua. It is important to know that all authentic Feng Shui evaluation of a site is based on the compass bearing of the site according to magnetic north. If any form of Feng Shui practise does not involve the compass direction, it is not authentic Feng Shui. In authentic Feng Shui, there exist only two types of Ba Gua – The Earlier Heaven and the Later Heaven Ba Gua. Although the Earlier Heaven Ba Gua contains much information used in the evaluation of a building (yang dwelling), its main use is for the evaluation of burial sites (yin dwelling). 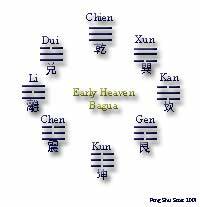 In the Earlier Heaven Arrangement, the trigram Ch’ien (Heaven) is placed at the top (south palace) of the Ba Gua with K’un (Earth) to the bottom (north palace). 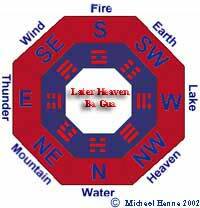 Amongst other information, the Later Heaven Ba Gua contains the eight trigrams, the Lo Shu numbers, the 8 magnetic directions, the seasons and the elements (or phases) associated with each of the nine palaces. This Ba Gua is one of the tools essential to all authentic traditional Feng Shui practitioners. Authentic Feng Shui is a knowledge, science and art passed down through the centuries from more than 5,000 years ago. This Ba Gua describes the flux of things where energy changes with time and space. The four main cardinal directions in the Ba Gua are the four magnetic directions North, East, South and West and these have dominant yang attributes. The Lo Shu number 9 in the south palace and 1 in the north palace are yang numbers. Trigram Li holds it position in the south palace and is a yin trigram. Trigram Kan holds its position in the north palace and is a yang trigram. The element Fire is placed at the top because hot air rises; the element water is placed at the bottom because water flows downwards. In Feng Shui, you have to look at every piece of information individually and further put it together with others and look at the whole (or bigger) picture. Everything has its own place in every different situation and position. Concentrating on one point to the exclusion of all others does not lead to a balanced point of view. However, in recent times, a new Ba Gua is in circulation. It is called the Symbolic Ba Gua (black hat Feng Shui). This Ba Gua contains the 8 palaces, the colours, the Lo Shu numbers and the eight life aspirations associated with the eight palaces. This Ba Gua was invented some twenty something years ago and has a group of followers. This Ba Gua does not take into account the compass bearings of the site. Instead, the Ba Gua is superimposed onto the floor plan with south remaining at the top at all times regardless of the compass direction one is facing. This is not the type of Feng Shui that I practice and therefore I cannot comment more on the effectiveness of it. In short, the Ba Gua is a big book of reference. Which palace should be at the top of the Ba Gua for your property (regardless of whether it is located in the northern or southern hemisphere or right on the equator) should be dictated by the compass reading taken from the facing of your property with a conventional compass or a traditional Feng Shui Luo Pan. So north is north as south is south whether you are in London, New York, Kenya or Brisbane, do not flip, toss or spin your Ba Gua. Beware of practitioners who judge the compass bearing of your site by reference only to a site map. 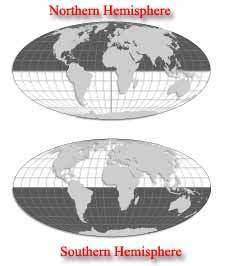 We have to distinguish between magnetic North and geographic North. The Feng Shui evaluation of a site is based on the magnetic fields of the earth and therefore the compass reading of your property must be based on magnetic north. 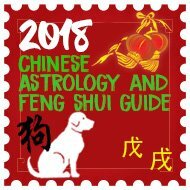 So, as far as Authentic Feng Shui goes, the information contained in a Ba Gua is for reference only and you have to turn the Ba Gua to the appropriate magnetic direction for a Feng Shui reading as we do with the Luo Pan. Hi i would like to know more, just starting to take an interest.